Cities (December 2011): Capital — Taipei (2.65 million). Other cities — New Taipei City (3.91 million), Kaohsiung (2.77 million), Taichung (2.66 million), Tainan (1.88 million). Terrain: Two-thirds of the island is largely mountainous with 100 peaks over 3,000 meters (9,843 ft.). Population (December 2011): 23.2 million. Annual population growth rate (2010): 0.18%. Education: Years compulsory: 9. Attendance (2009) — 99.73%. Literacy (2010) — 98.01%. Health: Infant mortality rate (2010): 0.62%. Life expectancy (2009) — 79.01 years (males 76.03 years; females 82.34 years). Work force (2010): 10.49 million. Central budget proposed (FY 2012): NT $1.939 trillion (U.S. $64.74 billion). Defense proposed (FY 2012): NT $309.6 billion (U.S. $10.34 billion), 16.0% of entire budget, or 2.14% of Taiwan's GDP. GDP (2011): NT $14.8 trillion (U.S. $501.7 billion). Real annual growth rate (2011): 4.03%. Per capita GDP (2011): $20,154. Agriculture (1.6% of GDP, 2010): Major products — pork, rice, fruit and vegetables, flowers, sugarcane, poultry, shrimp, eel. Services: (67.1% of GDP, 2010). Industry (31.3% of GDP, 2010): Types: electronics and flat panel products, chemicals and petrochemicals, basic metals, machinery, textiles, transport equipment, plastics, machinery. Trade (2010): Exports: $274.6 billion: electronics, optical and precision instruments, information and communications products, textile products, basic metals, plastic and rubber products. Major markets — P.R.C. and Hong Kong $122.6 billion, U.S. $31.5 billion, Japan $18.0 billion. Imports — $251.4 billion: electronics, optical and precision instruments, information and communications products, machinery and electrical products, chemicals, basic metals, transport equipment, crude oil. Major suppliers — Japan $51.9 billion, P.R.C. and Hong Kong $37.6 billion, U.S. $25.4 billion. Taiwan has a population of 23 million. More than 18 million, the "native" Taiwanese, are descendants of Chinese who migrated from Fujian and Guangdong Provinces on the mainland, primarily in the 18th and 19th centuries. The "mainlanders," who arrived in Taiwan after 1945, came from all parts of mainland China. About half a million indigenous peoples inhabit the mountainous central and eastern parts of the island and are believed to be of Malayo-Polynesian origin. Of Taiwan's total population, approximately one million, or 4.4%, currently reside in mainland China (P.R.C. ), according to an unofficial estimate. But according to P.R.C. population census statistics, the number of registered Taiwanese residents in China totaled 170,283 in 2010. Since 1968, 6 years of elementary school and 3 years of junior high have been compulsory for all children. About 98% of junior high graduates continue their studies in either a senior high or vocational school. Taiwan has an extensive higher education system with 165 institutions of higher learning. In 2010, about 147,561 applied for admission to universities and colleges through a modified multi-channel admissions system; 100% of the applicants were offered placement and 76% of the candidates actually enrolled. Opportunities for graduate education are expanding in Taiwan, but many students travel abroad for advanced education. Taiwan ranks fifth as a source of international students in the United States, with 24,818 studying in the United States during the 2010-2011 academic years. A large majority of people in Taiwan speak Mandarin Chinese, which has been the medium of instruction in the schools for more than 5 decades. Native Taiwanese and many others also speak one of the Southern Fujianese dialects, Min-nan, also known as Taiwanese. Recently there has been a growing use of Taiwanese in the broadcast media. The Hakka, who are concentrated in several counties throughout Taiwan, have their own distinct dialect. As a result of the half-century of Japanese rule, many older people also can speak Japanese. The method of Chinese romanization most commonly used in Taiwan is the Wade-Giles system. In 2002, Taiwan authorities announced adoption of the pinyin system used on the mainland to replace the Wade-Giles system, but its use is not consistent throughout society, often resulting in two or more romanizations for the same place or person. According to Taiwan's Government Information Office, there are about 11.2 million religious believers in Taiwan, with more than 75% identifying themselves as Buddhists or Taoists. There is also a strong belief in traditional folk religion throughout the island. These are not mutually exclusive, and many people practice a combination of the three. Confucianism also is an honored school of thought and ethical code. Christian churches have been active on Taiwan for many years, and today, the population includes a small but significant percentage of Christians. Taiwan's culture is a blend of its distinctive Chinese, Japanese, and Western influences. Fine arts, folk traditions, and popular culture embody traditional and modern, Asian, and Western motifs. Since the 1970s, as democracy and social openness has thrived, Taiwan's cultural diversity has flourished. In recent years, Taiwan has viewed its music, film, and crafts as "soft power" tools aimed at increasing understanding around the world and improving relationships with mainland China through tools such as museum and artistic exchanges. One of Taiwan's greatest attractions is the National Palace Museum, which houses over 650,000 pieces of Chinese bronze, jade, calligraphy, painting, and porcelain. This collection was moved from the mainland in 1949 when Chiang Kai-shek's Nationalist Party (KMT) fled to Taiwan. The collection is so extensive that only 1% is on display at any one time. At the end of World War II in 1945, Taiwan reverted to Chinese rule. During the immediate postwar period, the KMT administration on Taiwan was repressive and corrupt, leading to local discontent. Anti-mainlander violence flared on February 28, 1947, prompted by an incident in which a cigarette seller was injured and a passerby was shot to death by Nationalist authorities. The island-wide rioting was brutally put down by Nationalist Chinese troops, who killed thousands of people. As a result of the February 28 Incident, the native Taiwanese felt a deep-seated bitterness toward the mainlanders. For 50 years the KMT authorities suppressed accounts of this episode in Taiwan history. In 1995 a monument was dedicated to the victims of the "2-28 Incident," and for the first time, Taiwan's leader, President Lee Teng-hui, publicly apologized for the Nationalists' brutality. Starting before World War II and continuing afterward, a civil war was fought on the mainland between Chiang Kai-shek's KMT government and the Chinese Communist Party led by Mao Zedong. When the civil war ended in 1949, 2 million refugees, predominately from the Nationalist government, military, and business community, fled to Taiwan. In October 1949 the People's Republic of China (P.R.C.) was founded on the mainland by the victorious communists. Chiang Kai-shek established a "provisional" Republic of China (R.O.C.) capital in Taipei in December 1949. During the 1950s, the KMT authorities implemented a far-reaching and highly successful land reform program on Taiwan. They redistributed land among small farmers and compensated large landowners with commodities certificates and stock in state-owned industries. Although this left some large landowners impoverished, others turned their compensation into capital and started commercial and industrial enterprises. These entrepreneurs were to become Taiwan's first industrial capitalists. Together with refugee businessmen from the mainland, they managed Taiwan's transition from an agricultural to a commercial, industrial economy. Taiwan has developed steadily into a major international trading power with $526 billion in two-way trade (2010). Taiwan's accession to the World Trade Organization in 2002 has expanded its trade opportunities and further strengthened its standing in the global economy. Prosperity on the island has been accompanied by economic and social stability. Chiang Kai-shek's successor, his son Chiang Ching-kuo, began to liberalize Taiwan's political system, a process that accelerated when President Lee Teng-hui took office in 1988. The direct election of Lee Teng-hui as president in 1996 was followed by opposition Democratic Progressive Party (DPP) candidate Chen Shui-bian's election victory in March 2000, marking the first peaceful democratic transfer of power between parties in Taiwan. The President is both leader of Taiwan and Commander-in-Chief of its armed forces. The President has authority over four of the five administrative branches (Yuan): Executive, Control, Judicial, and Examination. The President appoints the President of the Executive Yuan, who also serves as the Premier. The Premier and the cabinet members are responsible for government policy and administration. The fifth administrative branch is the Legislative Yuan. From 1949 until 1991, the authorities on Taiwan claimed to be the sole legitimate government of all of China, including the mainland. In keeping with that claim, when the Kuomintang retreated to Taiwan in 1949, they re-established the full array of central political bodies that had existed on the mainland. While much of this structure remains in place, the authorities on Taiwan in 1991 abandoned their claim of governing mainland China, stating that they do not "dispute the fact that the P.R.C. controls mainland China." 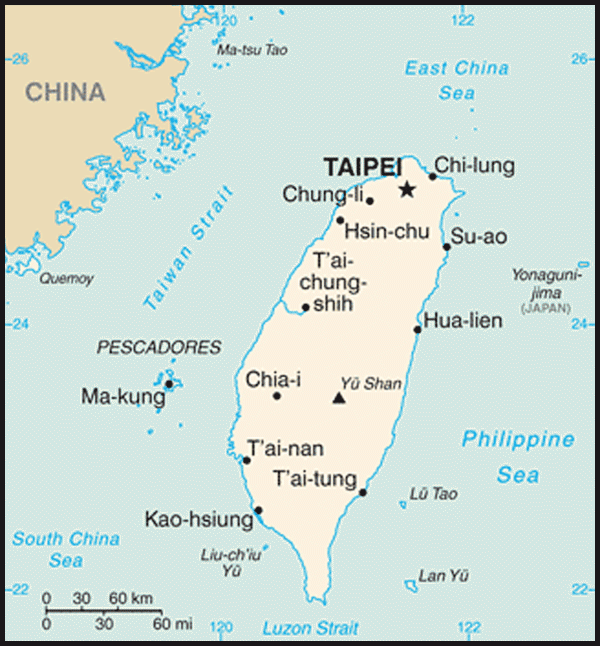 The authorities in Taipei exercise control over Taiwan, Kinmen, Matsu, Penghu (Pescadores), and several other smaller islands. 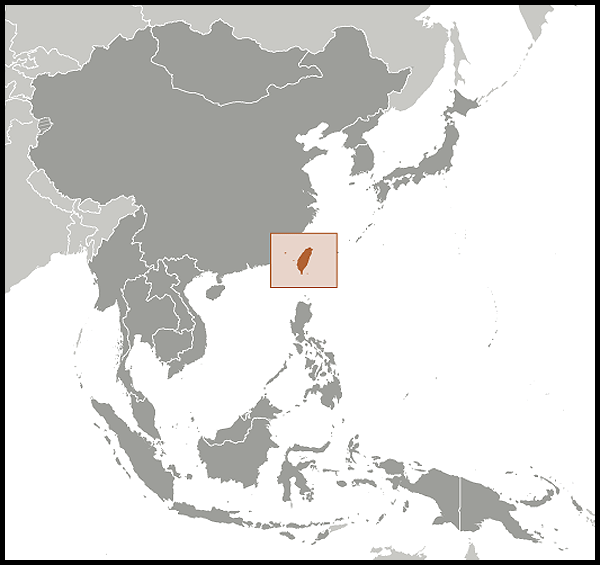 In 1994 the Legislative Yuan passed legislation allowing for the direct election of the Governor of Taiwan Province and the mayors of Taipei and Kaohsiung Special Municipalities. At the end of 1998, the Constitution was amended to make all counties and cities directly administered by the Executive Yuan. The position of elected Governor was abolished in a move to streamline administration, and most other elements of the Taiwan Provincial Government have been eliminated. Taiwan is divided into counties, provincial municipalities, and, since December 2010, five special municipalities — Taipei, New Taipei City, Greater Taichung, Greater Tainan, and Greater Kaohsiung, the last three representing a merger of cities and counties. The first National Assembly, elected on the mainland in 1947 to carry out the duties of choosing the President and amending the constitution, was re-established on Taiwan when the KMT moved. Because it was impossible to hold subsequent elections to represent constituencies on the mainland, representatives elected in 1947-48 held these seats "indefinitely." In June 1990, however, the Council of Grand Justices mandated the retirement, effective December 1991, of all remaining "indefinitely" elected members of the National Assembly and other bodies. The second National Assembly, elected in 1991, was composed of 325 members. The majority were elected directly, while 100 were chosen from party slates in proportion to the popular vote. This National Assembly amended the Constitution in 1994, paving the way for direct elections of the President and Vice President, the first of which was held in March 1996. In April 2000, the members of the National Assembly voted to permit their terms of office to expire without holding new elections. The Legislative Yuan (LY) was originally elected in the late 1940s in parallel with the National Assembly. The first LY had 773 seats and was viewed as a "rubber stamp" institution. The second LY was not elected until 1992. The third LY, elected in 1995, had 157 members serving 3-year terms, while the fourth LY, elected in 1998, was enlarged to 225 members. The National Assembly that was elected in May 2005 passed a set of constitutional amendments in June 2005 that abolished the National Assembly, leaving Taiwan with a unicameral legislature; halved the number of LY seats from 225 to 113 and created single-member legislative election districts beginning with the January 2008 legislative election; and provided for the public to confirm or reject future constitutional amendments passed by the LY. The LY has greatly enhanced its standing in relation to the Executive Yuan and has established itself as a major player on the central level. With increasing strength and complexity, the LY mirrors Taiwan's liberalized political system. The Control Yuan (CY) monitors the efficiency of public service and investigates instances of corruption. The 29 Control Yuan members are appointed by the President and approved by the Legislative Yuan; they serve 6-year terms. In recent years, the Control Yuan has become more active, and it has conducted several major investigations and impeachments. From January 2005 to August 2008, the Control Yuan was inactive because the Pan-Blue dominated LY refused to approve the new slate of CY members proposed by President Chen. The new Control Yuan members appointed by President Ma Ying-jeou took office on August 1, 2008. The Judicial Yuan (JY) administers Taiwan's court system. It includes a 15-member Council of Grand Justices (COGJ) that interprets the constitution. Grand Justices are appointed by the President, with the consent of the Legislative Yuan, to 8-year terms. The Examination Yuan (EY) functions as a civil service commission and includes two ministries: the Ministry of Examination, which recruits officials through competitive examination, and the Ministry of Personnel, which manages the civil service. The President appoints the President and members of the Examination Yuan. Until 1986, Taiwan's political system was controlled by one party, the Kuomintang (KMT), the chairman of which was also Taiwan's top leader. As the ruling party, the KMT was able to fill appointed positions with its members and maintain political control of the island. Before island-wide elections in 1986, many "nonpartisans" grouped together to create Taiwan's first new opposition political party, the Democratic Progressive Party (DPP). Despite an official ban on forming new political parties, Taiwan authorities did not prohibit the DPP from operating, and DPP and independent candidates captured more than 20% of the vote in the 1986 elections. In 1987, President Chiang Ching-kuo ended the nearly 4 decades of martial law under which dissent had been suppressed. Since then, Taiwan has effectively improved respect for human rights and created a democratic political system, including ending almost all restrictions on the press. Vice President Lee Teng-hui succeeded Chiang Ching-kuo as president upon Chiang's death in 1988, and in 1990 the National Assembly elected Lee to a 6-year term as President, the final indirect presidential election conducted by the National Assembly. Under President Lee, the Legislative Yuan passed the Civic Organizations Law in 1989, which allowed for the formation of new political parties, thereby legalizing the DPP. In 1992, the DPP won 51 seats in the 161-seat LY, increasing the DPP's influence on legislative decisions. Chen Shui-bian's victory in the Taipei mayoral election in December 1994 further enhanced the profile of the DPP, which won 45 of the 157 seats in the 1995 LY elections. In 1996, the KMT's Lee Teng-hui was elected President and Lien Chan Vice President in the first direct presidential election by Taiwan's voters. In the November 1997 local elections, the DPP won 12 of the 23 county magistrate and city mayor contests to the KMT's 8, outpolling the KMT for the first time in a major election. In a three-way contest in March 2000, DPP candidate Chen Shui-bian became the first opposition party candidate to win the presidency. His victory resulted in the first-ever transition of the presidency from one political party to another, validating Taiwan's democratic political system. In the December 2001 legislative elections, the DPP won a plurality of LY seats — 88 to the KMT's 66, the People First Party's 45, and the Taiwan Solidarity Union's 13, with the remaining 13 seats being won by other parties and independents. President Chen was re-elected by 50.1% of the popular vote to a second term in a very tight contest on March 20, 2004. The election was marred by a shooting incident the day before the election during which President Chen and his running mate Vice President Annette Lu were slightly wounded. While the KMT contested the results, it was the first time that the DPP had won an outright majority in an island-wide election. In the December 2004 legislative elections, the ruling DPP won a plurality with 89 of the 225 seats, gaining 2 seats more than it did in 2001. Despite this, the opposition KMT and its Pan-Blue allies continued to hold a narrow majority in the Legislative Yuan of 114 seats compared to the Pan-Green coalition's 101. The ruling DPP's inability to form a majority coalition led to gridlock in the LY until 2008. Following a landslide victory in December 2005 local elections, the KMT won the 2006 mayoral election in Taipei City, while the DPP won in Kaohsiung City. The March 2004 election included two "defensive referendums." Historically, referendums have been closely tied to the question of Taiwan independence, and thus a highly sensitive issue in cross-Strait relations. Both referendums in 2004 failed to meet the required participation threshold of 50% of eligible voters, as did four more referendums held in conjunction with the 2008 legislative and presidential elections. The 2008 DPP referendum on joining the UN under the name Taiwan was especially controversial. In the January 2008 legislative election, the first to be held following the LY's reduction in size, the KMT won an absolute majority of 81 seats and KMT allies won a further five seats, giving them a significant majority over the DPP, which won just 27 seats. Taiwan's second democratic transition from one ruling party to another followed the March 22, 2008 presidential election, which went decisively (58%) to KMT candidate Ma Ying-jeou. Together with the KMT legislative victory 2 months earlier, Taiwan now had a unified government under KMT control. The DPP subsequently won several by-elections, and by April 2010 it had added six more seats, enough to prevent the ruling KMT from acting on its own to send proposed constitutional amendments to a referendum vote. The January 2012 presidential and legislative elections were held concurrently for the first time per a 2004 constitutional amendment. In the presidential race, incumbent Ma Ying-jeou was re-elected by a 6-point margin over DPP challenger Tsai Ing-wen. In the Legislative Yuan elections, the KMT's majority slipped to 64 seats compared to the DPP's 40 seats, with independents and smaller parties claiming the remaining 9 seats. In addition to the Kuomintang KMT (described above in "History" and "Political Conditions"), the other major political party is the DPP, whose membership is made up largely of native Taiwanese, and whose platform includes outspoken positions on some of the most sensitive issues in Taiwan politics. For example, the DPP maintains that Taiwan is an entity separate from mainland China, in contrast to the KMT position that Taiwan and the mainland, though currently divided, are both part of "one China." In sharp contrast to the tenets of both KMT and P.R.C. policy, a number of prominent DPP politicians openly advocate independence for Taiwan. There are a number of small political parties, including the Taiwan Solidarity Union (TSU), the People First Party (PFP), and the New Party (NP). After the 2000 presidential election, former KMT President Lee Teng-hui broke with the KMT and in 2001 formed the pro-independence Taiwan Solidarity Union (TSU), which allied itself with the DPP, an alliance that has waned over time. The TSU failed to elect any members to the LY in January 2008, but did win 3 seats in the 2012 elections. The People First Party (PFP) was formed in the wake of the March 2000 presidential election by disgruntled KMT members who supported the presidential bid of former KMT Taiwan Provincial Governor James Soong, who did not receive the KMT nomination. The PFP and KMT subsequently formed the Pan-Blue Alliance to oppose the DPP government. The PFP gradually shrank and it largely merged with the KMT in the run-up to the January 2008 LY elections, although one PFP candidate did win election to the LY under the name PFP. In the 2012 elections, the PFP fielded its own presidential candidate, James Soong, and won 3 seats in the LY. The New Party, which also split from the KMT, holds several seats on the Taipei City Council, but has no legislators at this point. In addition, there are more than 100 other registered small political parties, such as the Hakka Party, the Green Party, and the Constitution Party. None of these small parties received seats in either the 2008 or 2012 elections. Over the past several years, Taiwan has relaxed restrictions on unofficial contacts with the P.R.C., and cross-Strait interaction has increased substantially. In January 2001, Taiwan formally allowed the "three mini-links" (direct trade, travel, and postal links) from Kinmen (Quemoy) and Matsu Islands to Fujian Province and permitted direct cross-Strait trade in February 2002. Cross-Strait trade has grown rapidly over the past 10 years. China is Taiwan's largest trading partner, and Taiwan is China's seventh-largest. Estimates of Taiwan investment on the mainland, both officially approved by Taiwan authorities and investment made by Taiwan firms through third parties, range from $110 billion to over $300 billion, making Taiwan and Hong Kong by some measures the two largest investors in the P.R.C. This trade generally runs in Taiwan's favor and continues to grow, providing another engine for the island's economy. On June 29, 2010, following 6 months of negotiations, the two sides signed an Economic Cooperation Framework Agreement (ECFA), aimed at bringing about liberalization of cross-Strait trade in products and services and eventually creating an essentially free-trade regime. ECFA came into force on September 12, 2010. A 2-year phase-in period began on January 1, 2011 for bilateral reduction and elimination of tariffs affecting more than 800 products. Ma administration officials see ECFA as a critical first step in avoiding Taiwan's regional economic marginalization, paving the way for expanded trade relations with the Association of Southeast Asian Nations (ASEAN), the United States, and other major trading partners. In February 2003, Taiwan and the P.R.C. agreed to allow Taiwan carriers to fly non-stop (although routed via Hong Kong or Macau airspace) to take Taiwan residents on the mainland home for the Lunar New Year holiday. The two sides agreed to conduct Lunar New Year charter flights again in 2005, with flights operated by both Taiwan and P.R.C. carriers flying over, but not having to land in, Hong Kong or Macau. Over time these flights were expanded to cover three other major holidays. In July 2008, Taiwan and P.R.C. carriers began operating cross-Strait charter flights every weekend. These flights are open to mainland tourists, as well as Taiwan and foreign travelers. Daily direct cross-Strait charter flight service began in December 2008, and the two sides have also begun cargo charter flights, direct shipping, direct postal service, and cooperation on food safety issues. To meet rapidly increasing air transport demand, both parties agreed to increase the number of passenger and cargo flights to 270 per week in 2009; carriers from each side operate 135 flights per week. Following an agreement in May 2010, cross-Strait flights eventually increased to more than 500 per week. As of 2011, a total of 558 weekly cross-Strait flights were in operation. More than 1.72 million P.R.C. citizens visited Taiwan in 2011, including 1.31 million tourists, according to statistics released by the Mainland Affairs Council. In 2011, Taiwan agreed to open "free and individual tours" by P.R.C. citizens residing in Beijing, Shanghai, and Shenzhen. A total of 15,533 P.R.C. citizens had entered Taiwan between June and October 2011 for "free and individual tours." Many senior P.R.C. officials — including the culture minister, a vice minister of public security, the mayor of Shanghai, and numerous provincial governors and Communist Party leaders — have visited as part of an effort to improve mainland China's image among a generally wary Taiwan population. The development of semiofficial cross-Strait relations has had ups and downs. In April 1993, the first round of high-level cross-Strait talks was held in Singapore between the heads of two private intermediary organizations — Taiwan's Straits Exchange Foundation (SEF) and the P.R.C. 's Association for Relations Across the Taiwan Strait (ARATS). These talks primarily addressed technical issues relating to cross-Strait interactions. Beijing suspended lower-level talks from 1995-97 following President Lee's U.S. visit. SEF Chairman Koo Chen-fu visited the mainland in October 1998 for the second round of high-level talks. In 1999 Beijing once again suspended the cross-Strait dialogue, canceling plans for a visit by ARATS Chairman Wang Daohan to Taiwan, because of statements by President Lee that relations between the P.R.C. and Taiwan should be conducted as "state-to-state" or at least as "special state-to-state relations." Following his May 20, 2000 inauguration, President Chen called for resuming the cross-Strait dialogue without any preconditions, but the P.R.C. insisted President Chen first acknowledge what it claimed was the "1992 consensus" on one China reached by the two sides. The cross-Strait dialogue remained suspended for the following 8 years of President Chen's two-term administration. Nonetheless, economic and social ties continued to develop rapidly despite the "one China" obstacle and Taiwan's resentment over the P.R.C. 's March 2005 "Anti-Secession Law," and the two sides were able through intermediary organizations to reach agreements on holiday cross-Strait charter flights. The KMT began its own dialogue with Beijing in 2005. In his first term, President Ma's administration resumed the SEF-ARATS dialogue, expanded flights, and, in a major step to enhance cross-Strait relations, signed the Economic Cooperation Framework Agreement with Beijing. The United States has welcomed and encouraged the regular cross-Strait dialogue as a process which contributes to a reduction of tension and to an environment conducive to the eventual peaceful resolution of the outstanding differences between the two sides. The United States believes differences between Taipei and Beijing should be resolved peacefully in a manner acceptable to people on both sides of the Taiwan Strait. From 2008 until 2011, SEF and ARATS held seven rounds of talks and signed 16 agreements, including the ECFA and agreements to cooperate in areas of intellectual property rights, medicine, financial services, and nuclear power safety. President Ma has stressed the importance of people-to-people contact, and in 2010 the Legislative Yuan revised the University Law, the Junior College Law, and the Cross-Strait Relations Act to allow P.R.C. college students to go to Taiwan for graduate and undergraduate degree studies. In 2011, fewer than 1,000 Chinese students pursued undergraduate and graduate studies at Taiwan's universities, even though the Ministry of Education had set a quota to allow more than 2,000 Chinese students. The Ministry of Education attributed the lower number to the many restrictions set by Taiwan authorities on what Chinese students may study and do after graduation. Through decades of hard work and sound economic management, Taiwan has transformed itself from an underdeveloped, agricultural island to an economic power that is a leading producer of high-technology goods. In the 1960s, foreign investment in Taiwan helped introduce modern, labor-intensive technology to the island, and Taiwan became a major exporter of labor-intensive products. In the 1980s, focus shifted toward increasingly sophisticated, capital-intensive and technology-intensive products for export and toward developing the service sector. At the same time, as a result of the appreciation of the New Taiwan dollar (NT dollar or NTD), rising labor costs, and increasing environmental consciousness in Taiwan, many labor-intensive industries, such as shoe manufacturing, shifted production and moved their manufacturing to China and Southeast Asia. Taiwan has transformed itself from a recipient of U.S. aid in the 1950s and early 1960s to an aid donor and major foreign investor, especially in Asia. Taiwan is now a creditor economy, holding the world's fourth-largest stock of foreign exchange reserves ($385.6 billion as of December 2011). Although Taiwan enjoyed sustained economic growth, full employment, and low inflation for many years, in 2001, Taiwan joined other regional economies in its first recession since 1949. From 2002-2007, Taiwan's economic growth ranged from 3.5% to 6.2% per year. With the global economic downturn, Taiwan's economy slumped into recession in the second half of 2008. Its real GDP, following growth of 5.98% in 2007, rose 0.73% in 2008 and contracted 1.81% in 2009. The economy saw a robust recovery in 2010, growing by 10.72%, the highest rate in 28 years. In 2011, growth slowed to 4.03% amid the European debt crisis. Foreign trade has been the engine of Taiwan's rapid growth during the past 50 years. Taiwan's economy remains export-oriented, so it depends on an open world trade regime and remains vulnerable to fluctuations in the world economy. The total value of trade increased more than five-fold in the 1960s, nearly 10-fold in the 1970s, doubled in the 1980s, nearly doubled again in the 1990s, and grew more than 85% in the past decade. Export composition changed from predominantly agricultural commodities to industrial goods (now 99%). The electronics sector is Taiwan's most important industrial export sector. Taiwan became a member of the World Trade Organization (WTO) as a special customs territory in January 2002. Taiwan firms are the world's largest suppliers of computer monitors and leaders in PC manufacturing, although now much of the final assembly of these products occurs overseas, typically in China. Imports are dominated by raw materials and capital goods, which account for more than 90% of the total. Taiwan imports coal, crude oil, and gas to meet most of its energy needs. Reflecting the large Taiwan investment in China, the P.R.C. supplanted the United States as Taiwan's largest trade partner in 2003. In 2010, China (including Hong Kong) accounted for over 29.0% of Taiwan's total trade and 41.8% of Taiwan's exports. Japan was Taiwan's second-largest trading partner with 13.3% of total trade, including 20.7% of Taiwan's imports. The United States is now Taiwan's third-largest trade partner, taking 11.5% of Taiwan's exports and supplying 10.1% of its imports. In 2010, Taiwan was the United States' ninth-largest trading partner, with Taiwan's two-way trade with the United States amounting to $61.9 billion. Imports from the United States consist mostly of machinery and equipment as well as agricultural and industrial raw materials. Exports to the United States are mainly electronics and consumer goods. The United States, Hong Kong, China, and Japan account for 60% of Taiwan's exports, and the United States, Japan, and China provide almost 46% of Taiwan's imports. As Taiwan's per capita income level has risen, demand for imported, high-quality consumer goods has increased. The U.S. trade deficit with Taiwan in 2010 was $9.88 billion, down $74 million from 2009. In addition to its formal diplomatic relations, Taiwan also maintains trade offices in nearly 100 countries. Taiwan is a member of the Asian Development Bank, the WTO, and the Asia-Pacific Economic Cooperation (APEC) forum. Taiwan is also an observer at the Organization for Economic Cooperation and Development (OECD). In 2009, Taiwan acceded to the WTO Government Procurement Agreement. These developments reflect Taiwan's economic importance and its desire to become further integrated into the global economy. Although less than one-quarter of Taiwan's land area is arable, virtually all farmland is intensely cultivated, with some areas suitable for two and even three crops a year. Agriculture comprises only about 1.6% of Taiwan's GDP. Taiwan's main crops are rice, fruit, and vegetables. While largely self-sufficient in rice production, Taiwan imports large amounts of wheat, corn, and soybeans, mostly from the United States. Poultry and pork production are mainstays of the livestock sector and the major demand drivers for imported corn and soybeans. Rising standards of living have led to increased demand for a wide variety of high-quality food products, much of it imported. Overall, U.S. agricultural and food products account for over 30% of Taiwan's agricultural import demand. U.S. food and agricultural exports total about $3.0 billion annually, making Taiwan the United States' sixth-largest agricultural export destination. Taiwan's agricultural exports include frozen fish, aquaculture and sea products, canned and frozen vegetables, and nursery products such as orchids. Taiwan's imports of agricultural products and the range of countries supplying the market have increased since its WTO accession in 2002, and it is slowly liberalizing previously protected agricultural markets. Taiwan faces many of the same economic issues as other developed economies. As labor-intensive industries have relocated to countries with low-cost labor, Taiwan's future development will rely on further transformation to a high technology and service-oriented economy and carving out its niche in the global supply chain. Taiwan's economy has become increasingly linked with China, and the Ma administration is expected to further develop these links and liberalize cross-Strait economic relations, particularly through negotiations under the Economic Cooperation Framework Agreement (ECFA). Taiwan official statistics indicate that Taiwan firms had invested about U.S. $110.9 billion in China as of the end of November 2011, which is more than 60% of Taiwan's stock of direct foreign investment. Unofficial estimates put the actual number at between U.S. $150 and over $300 billion. Exact figures are difficult to obtain, as much Taiwan investment in the P.R.C. is via Hong Kong and other third-party jurisdictions. More than one million Taiwan people are estimated to be residing in China, and more than 70,000 Taiwan companies have operations there. Taiwan firms are increasingly acting as management centers that take in orders, produce them in Taiwan, the mainland, or Southeast Asia, and then ship the final products to the U.S. and other markets. Taiwan's defense expenditures for 2011 were NT $374.8 billion (approximately U.S. $12.5 billion), accounting for 2.7% of GDP. For 2012, the Legislative Yuan approved NT $387.9 billion (approximately U.S. $12.9 billion) for defense, accounting for 2.7% of GDP. The military's primary mission is the defense of Taiwan against the P.R.C., which is seen as the predominant threat since it has not renounced the use of force against Taiwan. Taiwan's armed forces were reduced as part of a reform initiative from 1997 to 2001, going from a force total of about 450,000 to 385,000, with further reductions to 275,000 by 2008. The projected final strength is 215,000 under President Ma's All Volunteer Force plan, expected to be fully implemented by 2015. In accordance with Taiwan's constitution, conscription remains universal for qualified males between the ages of 18 and 36. Registered reservists reportedly totaled 2,800,000 in 2009. In 2009 the length of conscription service was 12 months. Starting in 2013, conscripted soldiers will serve only 4 months, allowing enough time to train to perform basic infantry and combat support tasks. Following August 2009's Typhoon Morakot, the military has continued efforts to play a greater role in carrying out disaster prevention and relief missions, including greater emphasis during training exercises and simulations. Taiwan's armed forces are equipped with weapons obtained primarily from the United States, with a much smaller number of systems procured from other Western nations. In response to economic difficulties related to the global financial crisis, along with the challenge of acquiring foreign military equipment in the face of increasingly stronger Chinese opposition, Taiwan has given greater consideration and effort to further developing its domestic defense industry, concentrating in select fields as it attempts to further develop domestic capacity. Consistent with Taiwan's reliance on the U.S. for major weapons systems, in January 2010, the Barack Obama administration notified Congress of its intent to sell Taiwan $6.4 billion worth of various defensive weapons, including Blackhawk helicopters and Patriot missiles, and authorized an additional $5.8 billion in September 2011, which included a retrofit of Taiwan's F-16 A/B fleet. Taiwan adheres to the principles of the nuclear Non-Proliferation Treaty and has stated that it does not intend to produce nuclear weapons. The People's Republic of China replaced Taiwan at the United Nations in 1971, and Taiwan's diplomatic position has continued to erode, as many countries changed their official recognition from Taipei to Beijing. As of January 2012, Taiwan had formal diplomatic ties with 23 countries. At the same time, Taiwan has cultivated informal ties with most countries to offset its diplomatic isolation and to expand its economic relations. According to the Government Information Office's 2011 Yearbook, Taiwan has embassies and missions in 23 countries. Meanwhile, it maintains 91 representative offices in the capitals and major cites of 57 countries that do not maintain diplomatic relations with Taiwan. Taiwan's diplomatic partners, other countries, and the European Union maintains 68 embassies or representative offices in Taiwan. During the administration of President Chen, Taiwan lobbied strongly for admission into the United Nations and other international organizations, such as the World Health Organization (WHO). The P.R.C. opposes Taiwan's membership in such organizations, most of which require statehood for membership, because it considers Taiwan to be a part of its territory, not a separate sovereign state. The administration of President Ma has called for a "diplomatic truce" with Beijing, under which Taiwan would retain its existing diplomatic allies but not seek to win over countries that recognize the P.R.C. The Ma administration also hopes to expand Taiwan's "international space," increasing its participation in international organizations, such as the WHO, the UN Framework Convention on Climate Change (UNFCCC), and the International Civil Aviation Administration (ICAO). On January 1, 1979, the United States changed its diplomatic recognition from Taipei to Beijing. In the U.S.-P.R.C. Joint Communique that announced the change, the United States recognized the Government of the People's Republic of China as the sole legal government of China and acknowledged the Chinese position that there is but one China and Taiwan is part of China. The Joint Communique also stated that within this context the people of the United States will maintain cultural, commercial, and other unofficial relations with the people on Taiwan. On April 10, 1979, President Jimmy Carter signed into law the Taiwan Relations Act (TRA), which created domestic legal authority for the conduct of unofficial relations with Taiwan. U.S. commercial, cultural, and other interaction with the people on Taiwan is facilitated through the American Institute in Taiwan (AIT), a private nonprofit corporation. The Institute has its headquarters in the Washington, DC area and has offices in Taipei and Kaohsiung. It is authorized to issue visas, accept passport applications, and provide assistance to U.S. citizens in Taiwan. A counterpart organization, the Taipei Economic and Cultural Representative Office in the United States (TECRO), has been established by the Taiwan authorities. It has its headquarters in Taipei, the representative branch office in Washington, DC, and 12 other Taipei Economic and Cultural Offices (TECO) in the continental U.S. and Guam. The Taiwan Relations Act continues to provide the legal basis for the unofficial relationship between the U.S. and Taiwan, and enshrines the U.S. commitment to assisting Taiwan maintain its defensive capability. Following de-recognition, the United States terminated its Mutual Defense Treaty with Taiwan. However, the United States has continued the sale of appropriate defensive military equipment to Taiwan in accordance with the Taiwan Relations Act, which provides for such sales and which declares that peace and stability in the area are in U.S. interests. Sales of defensive military equipment are also consistent with the 1982 U.S.-P.R.C. Joint Communique. The United States position on Taiwan is reflected in the Three Communiques and the Taiwan Relations Act. The U.S. insists on the peaceful resolution of cross-Strait differences and encourages dialogue to help advance such an outcome. The U.S. does not support Taiwan independence. President George W. Bush stated on December 9, 2003 that the United States is opposed to any attempt by either side to unilaterally alter the status quo in the Taiwan Strait. While the United States welcomes recent exchanges that enhance channels of communication between leaders in Beijing and Taipei, the United States urges Beijing and Taipei to further advance cross-Strait cooperation and dialogue, including direct discussions between the authorities in Beijing and elected leaders in Taipei. U.S. commercial ties with Taiwan have been maintained and have expanded since 1979. Taiwan continues to enjoy Export-Import Bank financing, Overseas Private Investment Corporation guarantees, normal trade relations (NTR) status, and ready access to U.S. markets. In recent years, AIT commercial dealings with Taiwan have focused on expanding market access for American goods and services. AIT has been engaged in a series of trade discussions that have focused on protection of intellectual property rights and market access for U.S. goods and services. Maintaining diplomatic relations with the P.R.C. has been recognized to be in the long-term interest of the United States by six consecutive administrations; however, maintaining strong, unofficial relations with Taiwan is also a major U.S. goal, in line with our desire to further peace and stability in Asia. In keeping with our one-China policy, the U.S. does not support Taiwan independence, but it does support Taiwan's membership in appropriate international organizations, such as the World Trade Organization, Asia-Pacific Economic Cooperation (APEC) forum, and the Asian Development Bank, where statehood is not a requirement for membership. In addition, the U.S. supports Taiwan's meaningful participation in appropriate international organizations where its membership is not possible.